Rated 5 out of 5 by Sirorach from Some _genius_ came up with this one When I buy a game it tends to be rare, maybe a handful every two years. I got this game thinking it was going to be fun ... This game was tops! All I could think of was "more." I wanted to eat sushi more than a number of times! I wanted to practice my skills, but there is no sushi kit, only delicately-crafted illusion. 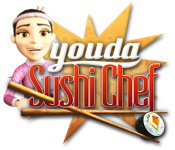 I think it was an incomparable master work that really can help anyone make sushi. Rated 5 out of 5 by Bonster81 from ADDICTIVE! There is no storyline in this game so if that's what you're looking for, you're not going to like this game. That is not a complaint from me though. I play and enjoy all different types of games and it was nice to find something like this after finishing a game with an intense story. I love this game. It's easy but super fun and really addicting. I would say the one negative is the predictability in terms of how you start from scratch the exact same way when you finish one restaurant and move on to the next. It would have been nice to have a little more variety in that respect. It is fun to test yourself though in terms of remembering the different recipes. Oh, also - spoiler...when you mess up an order, if you don't have the upgrade yet, the messed up order comes out looking like a pile of poo with a smiley face on it. LOL. I have not played any of the other "youda" games so I can't give an opinion on their games overall. Like I said, this is pure mindless fun and super addictive in the best way possible. Rated 5 out of 5 by insaneheadspace from My all-time FAVOURITE time management game This is one of my all-time FAVOURITE time management game. I hope they make a sequel! 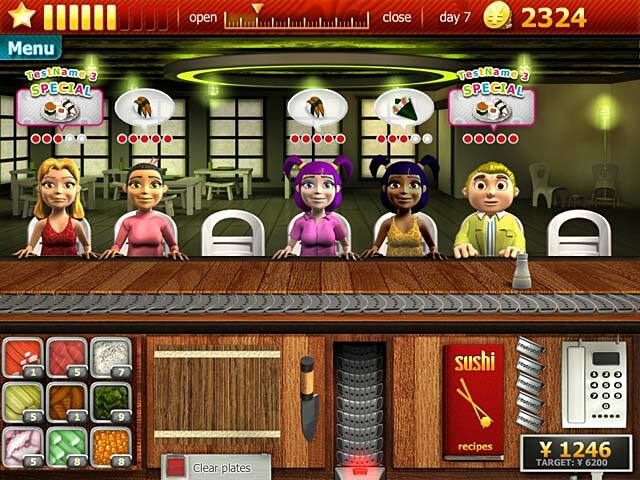 There are 6 different restaurants to complete, and a huge menu selection of sushi to create. I loved that ingredients had to be ordered in before they ran out (adds to the challenge). 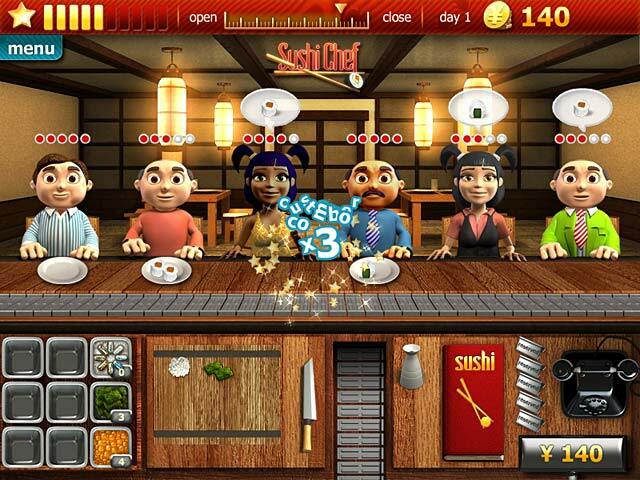 Rated 5 out of 5 by amurphy595 from awesome sushi lots of fun...somewhat challenging since there are many combinations. Rated 5 out of 5 by phooofeee from Fun and challenging!! I really like this time management game! The music is lovely, the dishes get really challenging to prepare because you have to keep ordering the ingredients. 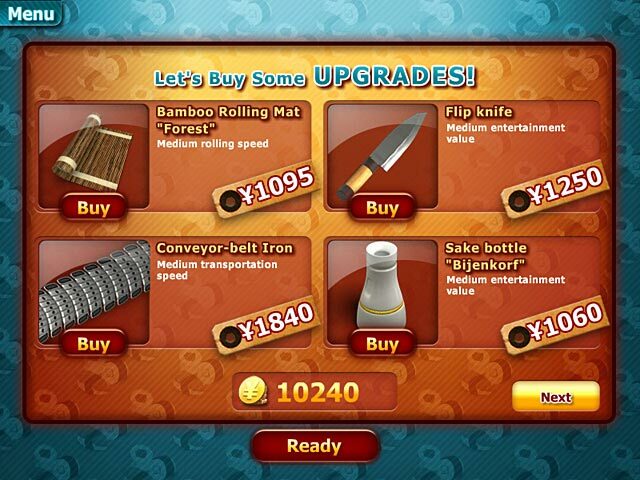 I like buying the upgrades for the restaurant. The number of dishes grows and ingredients become more complicated, so I'm having trouble getting past the first level. I'm not sure I'll buy the full version, but I'm tempted. Rated 5 out of 5 by Kikiforever from A perfect game Good game for brain namming and exercise your memory. Loved it! I wish there were more games like thos one! Rated 5 out of 5 by 491emmah from Memory of an elephant required This is a simple time management game where you are the chef assembling dishes for your customers. Nothing unusual in that, except that you have to have a mega memory to remember all of the dish combinations! You are given a recipe book with all of the details, but while you are looking , your customers are still waiting and getting increasingly unhappy! A pretty good game,but it defeated me!